MASKerade: Happy Birthday, Mrs W! Tomorrow is my neighbour's birthday. You'll remember Mrs. W from the stories where she's asked me to make cards for her here, here and here. 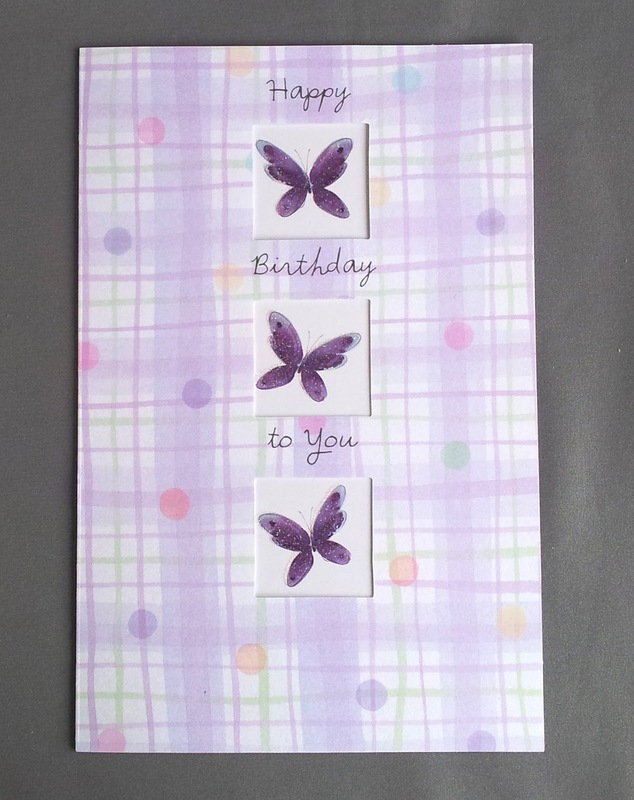 I made this card at a time when I was attempting the baby wipe technique as shown at Papertrey for another card. My baby wipe card was a mess - muddy and brown. 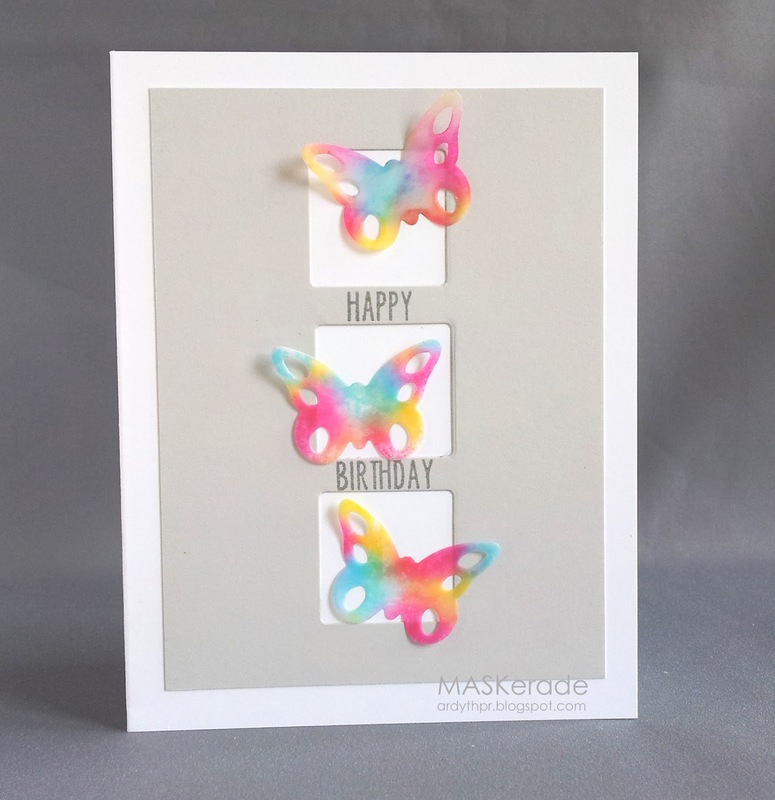 But I had cut one of the MFT butterflies out of vellum for Mrs W's card and decided to see if I could use the baby wipe on it. I simply pressed the butterfly into the baby wipe and look how pretty it turned out! I quickly cut two more and repeated the process. I used Neat&Tangled's Photo Booth for the sentiment. On another note, my daughter Kate has just started her own blog, Platypus Krafts. If you have time, I know she would love to hear from you! This is so pretty! Love the butterflies! The vellum butterflies are so ethereal. They appear to be floating by - lovely!! The butterflies are stunning! Of course my first thought was 'how did she do that?' I must be living under a rock cuz this baby wipe technique is new to me...off to search out the deets! But first, I'm off to say hello to sweet Miss Kate and wish her all the best with her new blogland home! Great blog name!